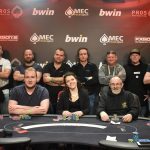 Livestream during MEC Poker Open Final day! In just two weeks the second edition of the MEC Poker Open will be held at Casino de Spa. 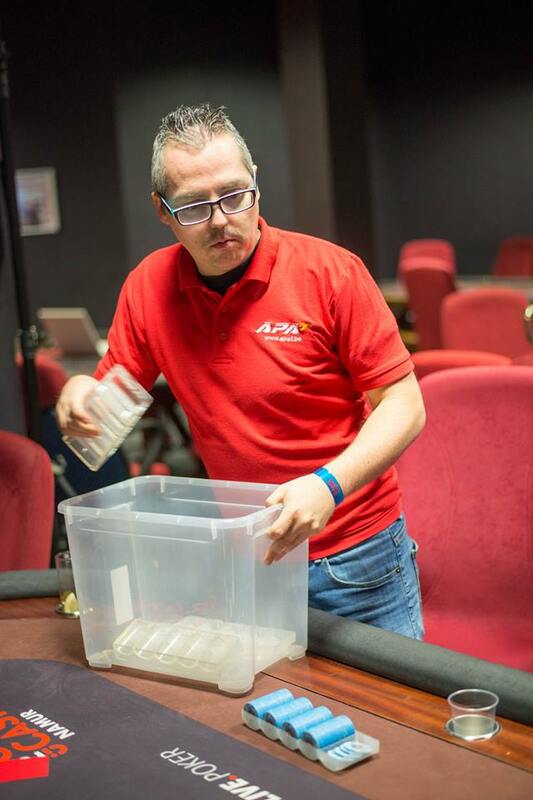 Today the organisation announces there will be a live streamed TV table during the final day of the MEC Poker Open. 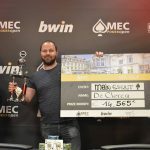 The first edition of the MEC Poker Open was a great succes. 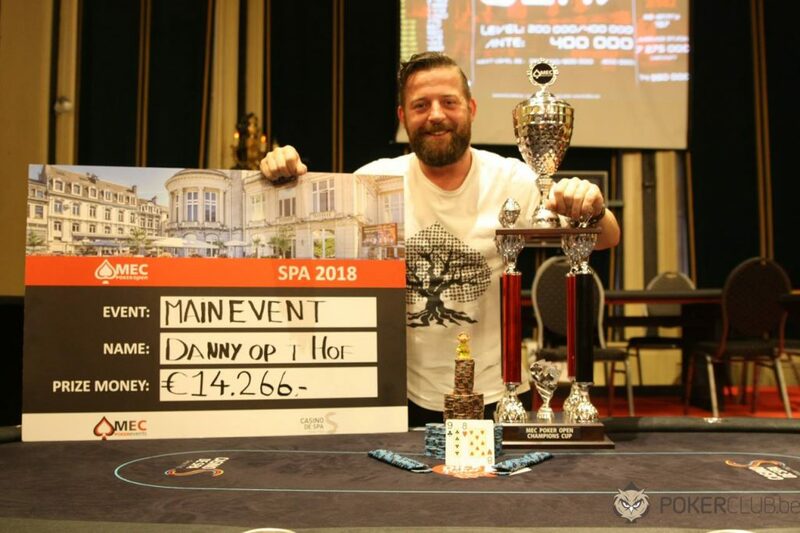 With over 580 entries in the Main Event and side event that were totally packed, the organisation decided the second edition of the MEC Poker Open has one more starting day. The first starting day is 4th of april. 1B and 1C will follow on 5 and 6 april. The final, day 2, will be held at sunday 7 april. The final day of the MEC Poker Open will have a live streamed TV table. This means that you can follow all the action live! The stream will be live on Twitch and will be hosted on several websites. The live stream of the final day will have two commentators. 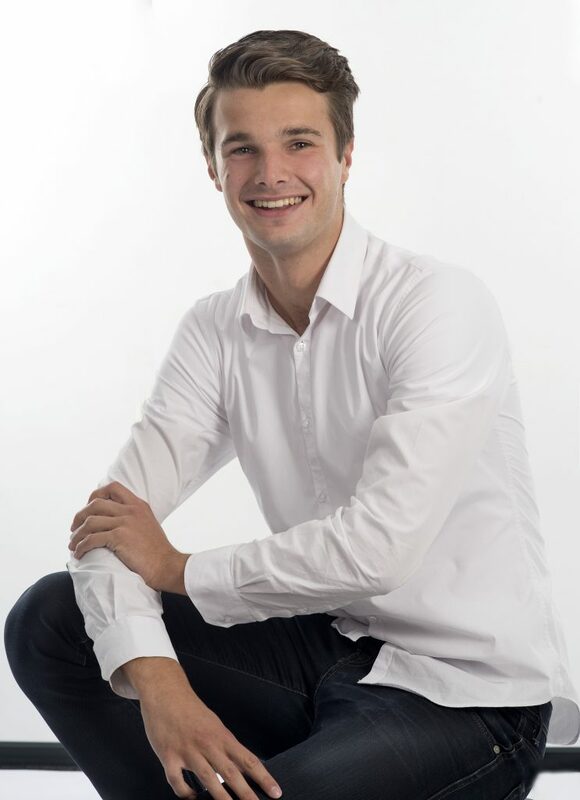 The first commentator is Tom Slikboer. Tom is a well known personality in the Belgian poker scené. He founded the APAT Belgium a couple of years ago. Currently he has a supporting function at a local pokerclub in Belgium, called Double Up. The second commentator is Roy van Boven. Poker is one of Roy his biggest hobbies. His nickname is “raging reporter” and this reveals that he is an experienced reporter. He says it’s a good thing he’s taking place in the commentary booth, because talking about poker suits him better than actually playing it. Where can you find the stream? The exact channel and url where you can find the live stream will be announced in the next days. 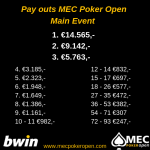 Join the MEC Poker Open Community to stay informed.